I've been making music for over 22 years and I've felt the pain of figuring out this puzzle by myself. I've been copyright stolen, false magic lesson invested, lousy contract scammed, paying to perform, falling short of budget, trading soul for fame and many other beauties of this industry in my journey to try to make a living out of expressing myself. Let me guide you through your journey and find together your unique voice. Stay focused on your dreams. Rodolfo delivers an exceptional lesson experience and ranks in the top 15% of our teachers nationwide. Proud graduate of first generation for Berklee at ITESM. 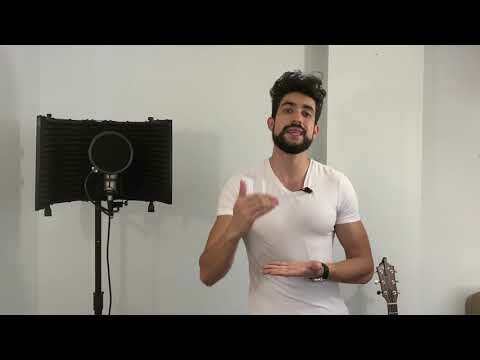 What is a Vocal Coach and why do you need one? 2019 resolution: To help souls thrill! Online coaching is a great option for out of state Students. Six years coaching this way with great results. Rodolfo was quickly able to decipher where my weaknesses were and how to address them, while also being encouraging with what I was getting right. I have already learned so much in only two lessons! The best way to keep my level of singing ONLINE!!!!! Rodolfo is as good as it gets. 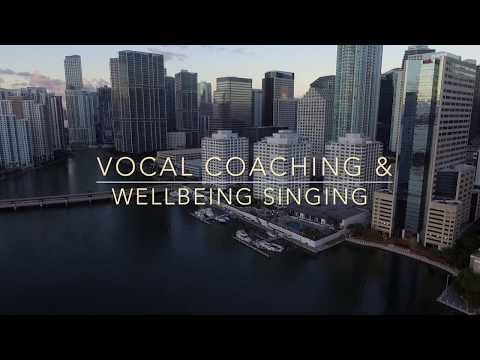 He is a highly experienced teacher who has been studying the voice for years. He knows the ins and outs of every component of the voice, and strictly focuses on technique, and his training regime reflects this. More so, he has worked with students all across the music spectrum in all genres, and cares GREATLY about your future as a musician, and works selflessly to help you achieve your personal goals with music. I've taken 3 lessons with Rodolfo, and my voice has improved incrementally already. LOOK NO FURTHER, trust me! Rodolfo is patient and very informative. Looking forward to our next session. Rodolfo is an excellent instructor. As a stage performer whose always wanted to learn how to properly sing, lessons were always on my mind. The decision to pick Rodolfo is one that I don't regret. He does a great job at interacting with students and tries to use real world examples to explain the instrument that we can't see, our vocal chords. This making the learning process much easier. He always comes set and ready with a lesson plan for the session. He also likes to check up on your progress in between session to ensure that you're executing the exercises correctly. Rodolfo is a person that cares about your success and progress. I would highly recommend him to anyone who's looking for vocal coach. Rodolfo is a talented musician with a passion for music. He truly cares about the different aspects of beauty that music offers. Singing, melodies, pitches, flows, ect... Rodolfo is not only a great musician but also a great teacher. He will guide you through the adventure of finding your voice and teach you about the music industry aswell. Im excited for our next lesson and ready to take on challenges! I have been working with Rodolfo for 6 months now. I love jazz and he is great at accompaning in piano and guitar. We´ve had a few performances so far and I was able to sing in front of family and friends. His classes are great fun and knowledge. Rodolfo is very clear on the use of the voice in many ways. I’ve improved my singing and songwriting and he helped me connect with producers to develop my music project. Rodolfo is an amazing teacher!!! I only did one session with him and now I know a lot more things that I didn’t know before about the body parts you use while singing. He ls someone that won’t judge you by how you sing, he will help you become better and better every time!!! I really recommend you to take classes with rodolfo. He’s amazing at what he does and I am really excited to have many more classes with him. Fui a la primer clase sin tener experiencia previa, estaba muy nerviosa y Rodolfo me enseño tecnicas de relajacion muy buenas y efectivas. Estoy muy entusiasmada por seguir aprendiendo de su experiencia. I have worked with Rodolfo for 6 month. I love jazz and he is great at accompaning in piano and guitar. We have had few performances so far and I was able to sing in front of family and friends. After completing my first lesson today, Rodolfo has already helped my voice! I am super excited to continue. Rodolfo is a super passionate and detailed teacher. He has a complete understanding of everything involved in music, not just singing which is amazing. great guy! so far i have only had a 1 hour session with him, but i feel that I learn a lot during that one hour! Super passionate and knowledgable of his craft. His personal story is inspiring. Warning! He will take you to the edge to make you improve. Don't be deceived! He is not a singing teacher. He is an awesome vocal and artist coach! Learning to sing is just a tiny part from all that you will learn with him. He has helped me a lot with social media, songwriting, live performance and fan base marketing. The full package. A game changer for your music career. Rodolfo is very gifted for teaching. He is very clear in concepts and uses logial analogies to explain diverse topics. I have been have such a great experience with Rodolfo. He explains the material in a way that is easy for me to understand and replicate. I will definately be continuing taking lessons with him! Excellent teacher, love my classes with him. Rodolfo is the most passionate instructor I’ve worked with. He is very knowledgeable of the online music industry and his artist development program is very complete. I highly recommend him for any level students. Amazing teacher and a talented musician. Pleasure working and learning from him.